Jan 24, 2004 in "Dinosaur"
CTX has been having several upgrades recently, ready to promote the new Disney movie Dinosaurs. While the animatronics and effects are being improved, the bad news is that the actual ride system has been downgraded. To please guests with small children who were previously too small to ride, the ride height has been reduced from 46" to 40". To make this possible the motion base effects on the vehicles have been reduced. 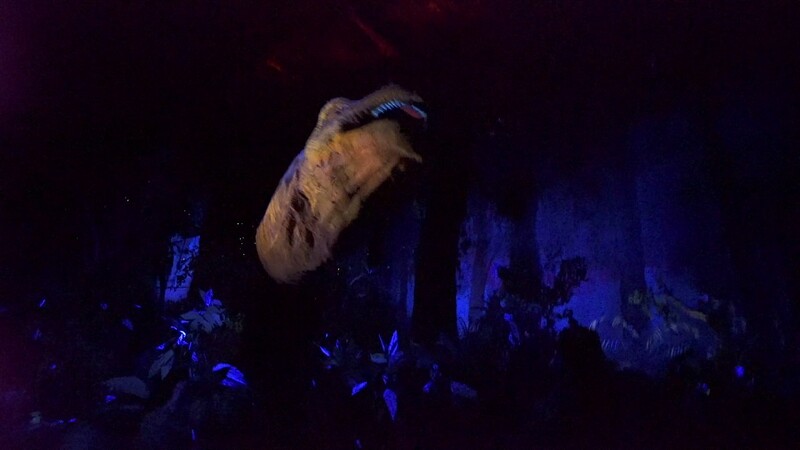 One of the best parts of the ride, the evasive maneuvers following the Carno chase, is now just a series of gentle left, right turns, using reduced motion base actions. This is not a good direction for this AK thrill ride to take, as the park already suffers from guest complaints of not enough rides, especially thrill rides. Lets hope it is only temporary until the new Excavator kiddie coaster is built.